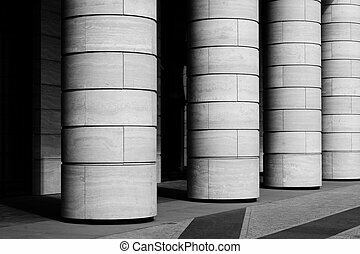 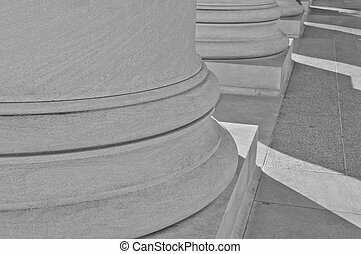 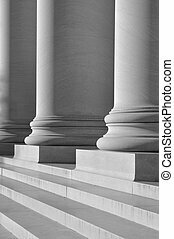 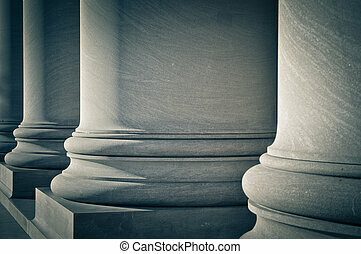 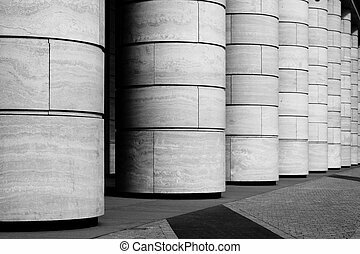 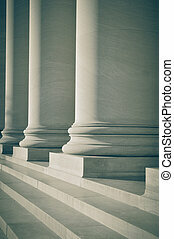 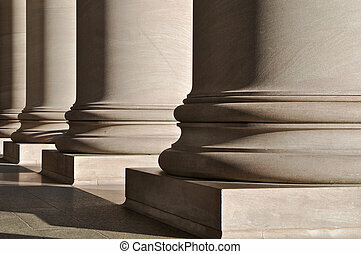 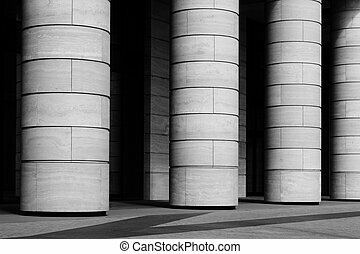 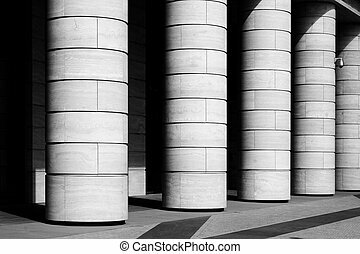 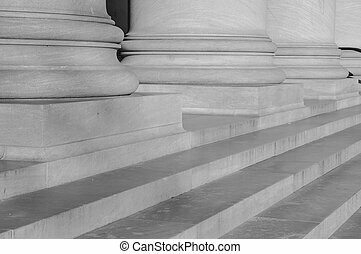 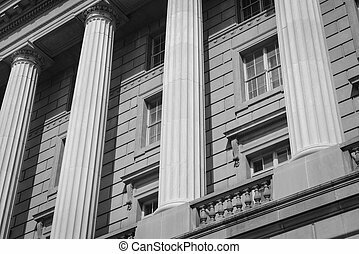 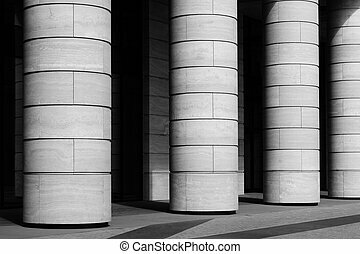 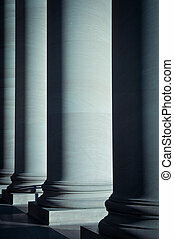 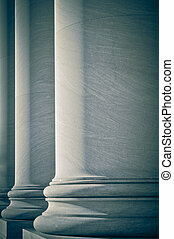 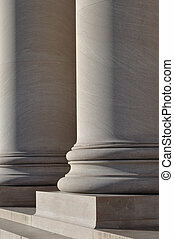 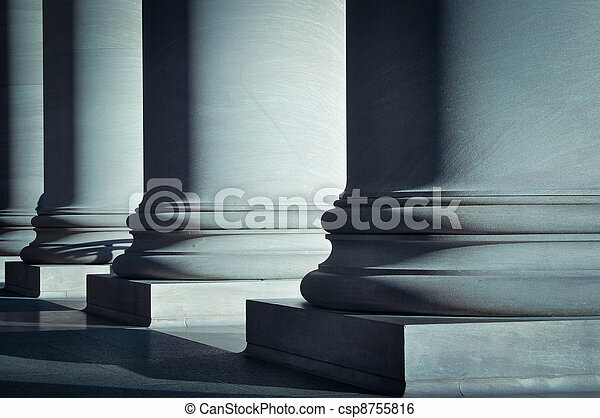 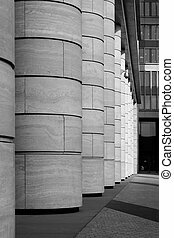 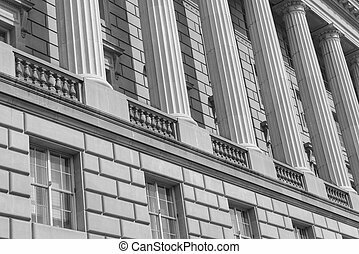 Pillars of law and education. 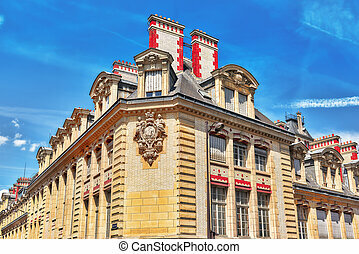 University of Paris (Universite de Paris), metonymically known as the Sorbonne , was a university in Paris, France. 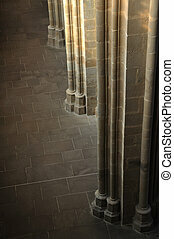 There is detail of pillars from cathedral in Meissen (Germany) - strong and stone. 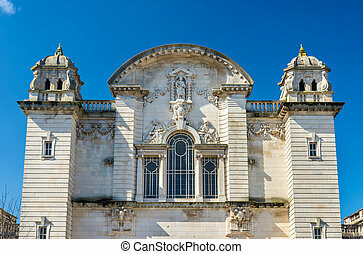 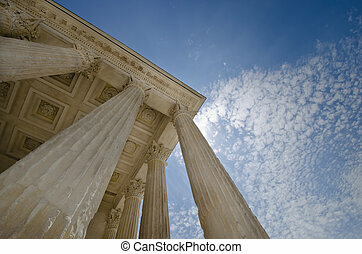 The neoclassical building is a public law court in the city of Lyon ("cour d'appel" and "cour d'assises"). 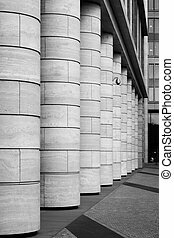 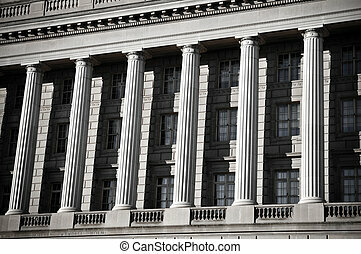 The picture has been taken from the public street in front of it. 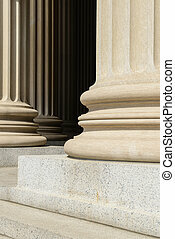 It is not part of any site or compound that requires a property release. 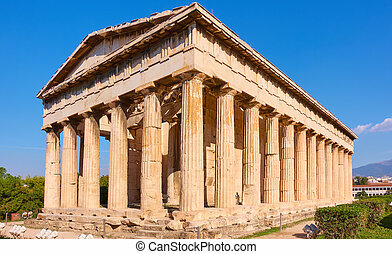 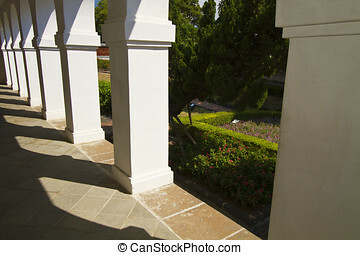 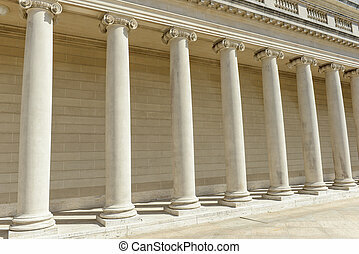 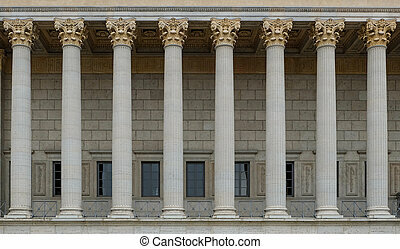 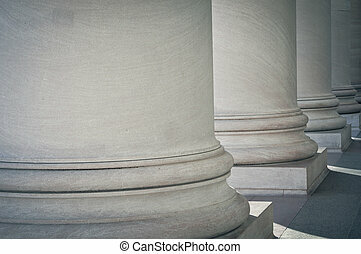 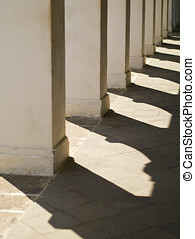 The columns in the colonnade (row of columns) are kept in corinthian style, ornate with floral (acanthus) decorations.